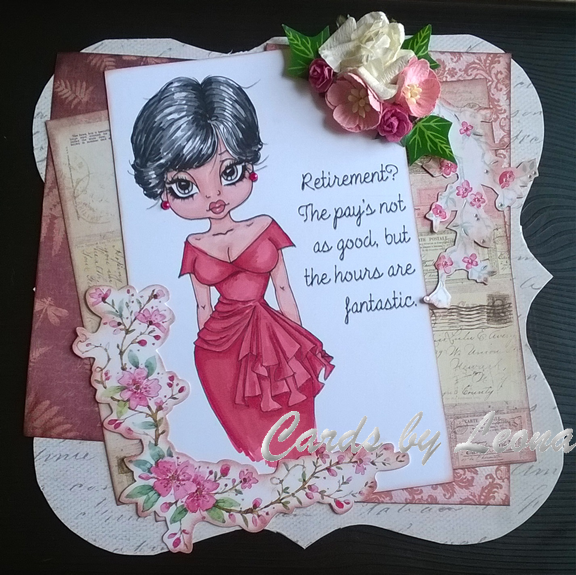 I have made this card for a teacher at work who is retiring in a few weeks. This Sturated Canary image looks very like her and I found the sentiment on a shared poster on Pinterest. The papers and flowers are all odd bits from my stash, nounted onto a shaped 8 x 8″ card. 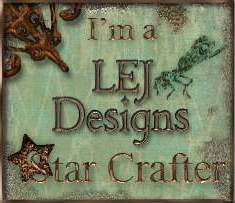 This is a card made with an old Docrafts CD. All the elements are printed off then layered up, apart from the mats, which are on the same layer as each paper. This was made for my cousin’s daughter who is recovering from an op at the moment. This is the second week that I have been asked to contribute to The Cheerful Stamp Pad. 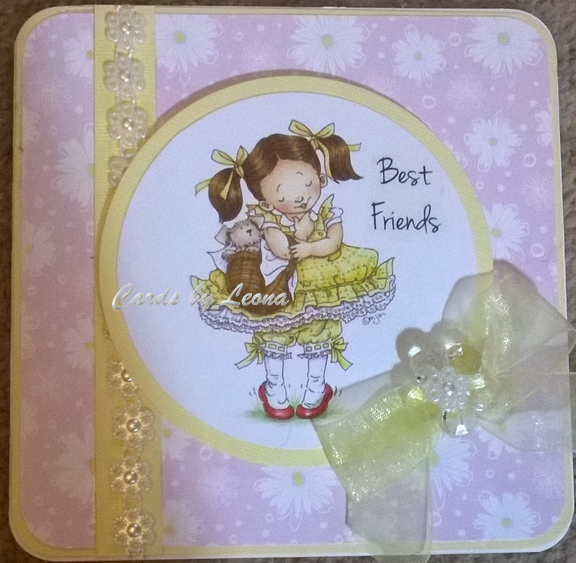 Today I have made a card using a digi from BB Kakes. It is called bb-watering boy and is also available in a girl version. he papers I have used are called Mac mini prints by Bazzill Basics Papers. I have coloured the image using Promarkers. I have mounted my design onto a hunkydory shaped card that had been lurking in my stash for some time. This pre coloured topper came from The Hobby House. For God gave us a spirit not of fear but of power and love and self control. 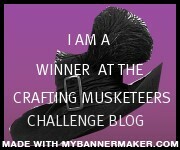 The image I have used is from The Stamping Chef. It is coloured with Promarkers. 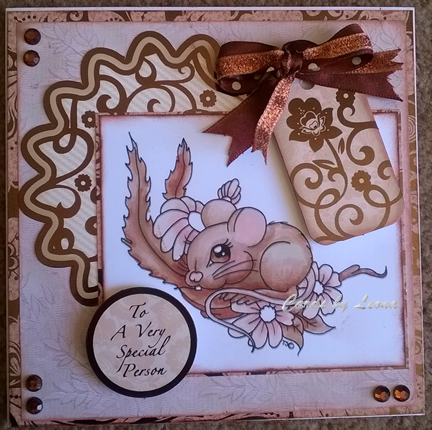 I have used some old papers and embellishments from Hunkydory’s Antique Flourish range. The ribbon and gems are from my stash. 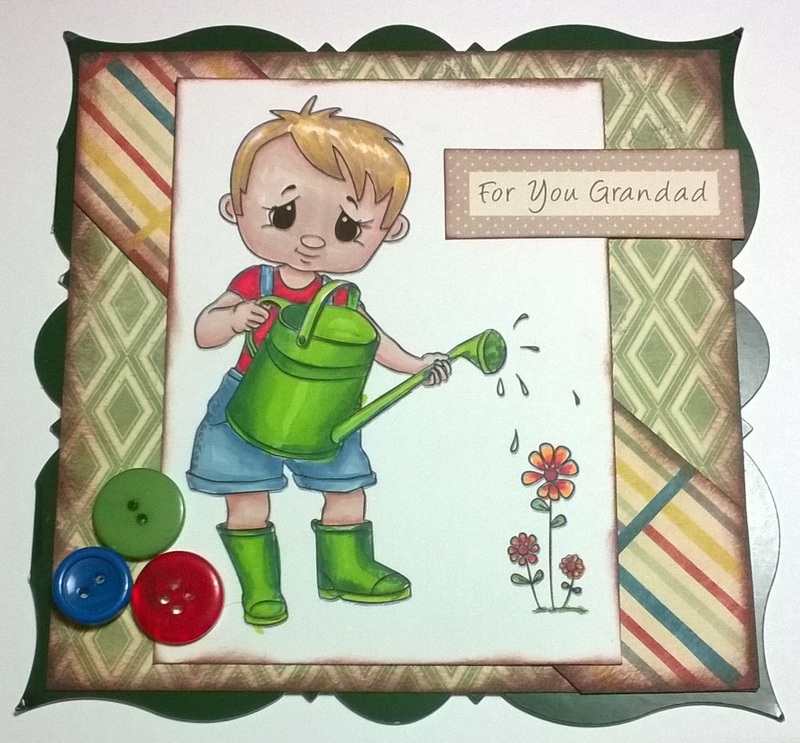 Today’s card is for the new challenge at Creative Moments, themed – For the boys. Here is a card I made for my Hubby’s 45 birthday using a Bugaboo digistamp. 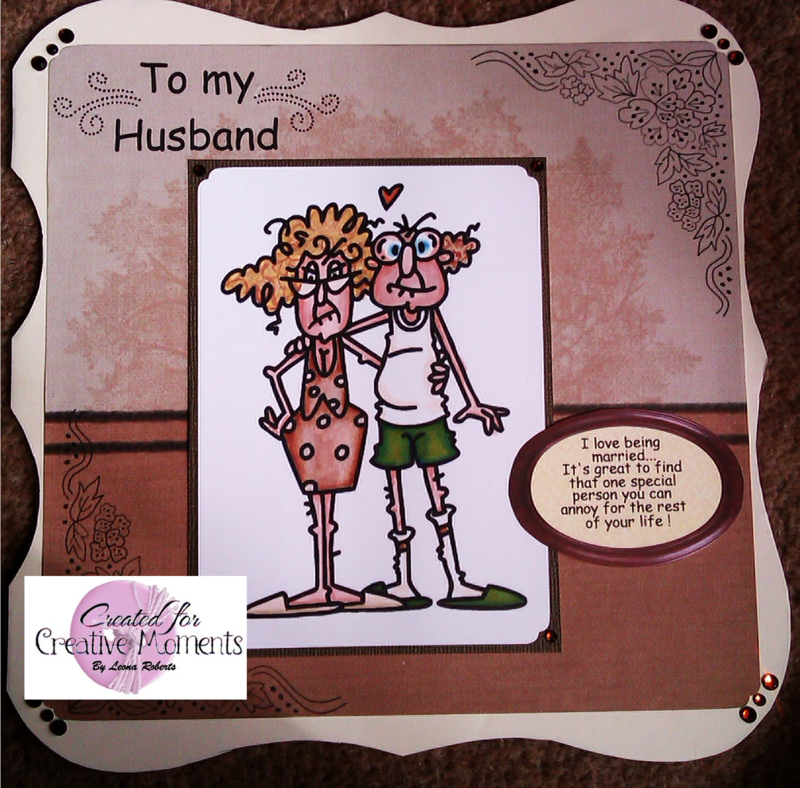 Both the couple and the funny sentiment are available there and I created the background and “To my husband” in Serif CraftArtist 2; the digikit used is called Family Tree and is fom Daisy Trail. Don’t forget to enter your masculine card at Creative Moments for the chance of winning a Bugaboo voucher. 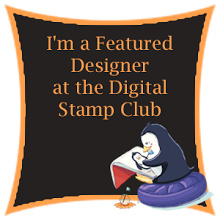 I was delighted to be chosen as a winner and featured designer at The Cheerful Stamp Pad. But onto today’s card! 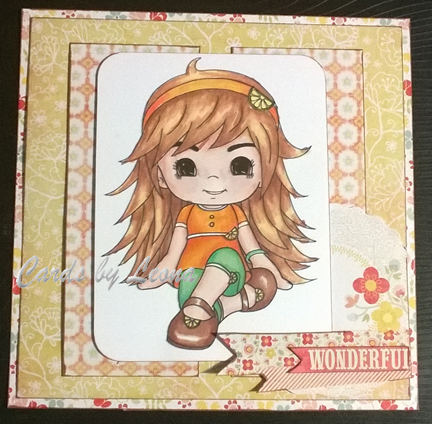 The Cheerful Stamp Pad’s current challenge is “fruit and veggies” and this sweet Scrapper’s delights digi is called Citrus 3 and is from the fruity babies collection. They are available from the website or from the Stitchy Bears outlet. The papers I have used are from My Mids Eye, a range called the Sweetest Thing.